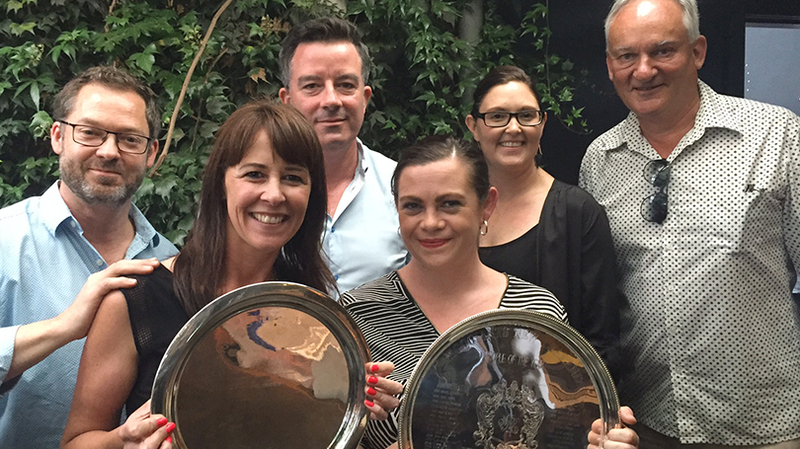 At the 2016 Negociants NZ Christmas Party held at Molten Restaurant, the 2016 awards were announced. 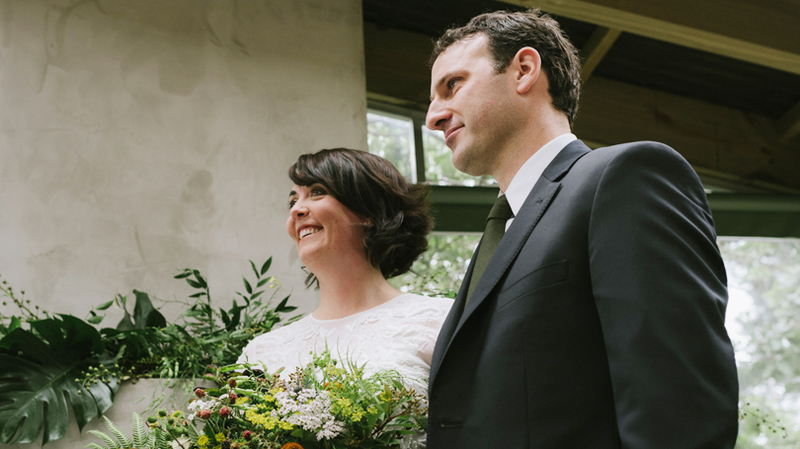 Our Wellington Area Manager, Cenna Lloyd married Tobin Druce on 22nd January 2017 on the Kapiti Coast. 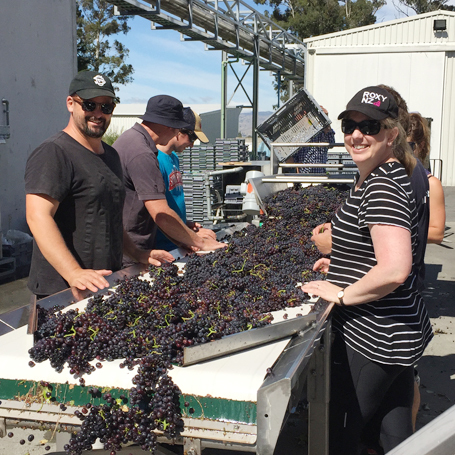 This year Nick Hewitt, Auckland On Premise Area Manager and Sharon Goldsbro, Accounts Payable travelled to Marlborough for a vintage experience at Nautilus Estate. Nick’s report follows:I was very grateful to have the opportunity to visit Nautilus Estate in Marlborough during 2017 harvest this year. Three days visiting Nautilus vineyards when they are only days from being picked at optimum ripeness. There were many highlights; eating bunches of The Paper Nautilus Sauvignon Blanc grapes off the vine at Nautilus’ oldest vineyard located in Renwick, then later ducking under bird netting to taste bunches of Pinot Noir at the Yarum Vineyard where they source their Southern Valleys Pinot Noir. A day later being in the winery to sort those same grapes which had been handpicked that morning, saving the good grapes and discarding the not so good. The attention to detail and constant mind on quality in the winery was immaculate. I witnessed the first Pinot Noir going to tank as winemaker Brett Birmingham gently layered the bottom of an empty Pinot Noir tank with de-stemmed Pinot Noir Berries, followed with layers of whole cluster berries left to inoculate. Clive Jones drove us to the Nautilus Awatere Vineyard, which was truly spectacular. Right on the edge of the upper Awatere River sitting on a few terraces, this is where Nautilus takes its delicious Pinot Gris. We took vineyard samples of each of the blocks for one of the winemakers to later test brix levels to determine ripeness. During our spare time, while waiting for fruit to arrive at the winery, we managed to visit Adam at Fromm Winery and Kevin, Kimberley and Richard at Greywacke harvesting some of their Chardonnay, as well as Mike Allan who was back from a fishing trip on his boat Hunky Dory at Huia Vineyards. All thoroughly enjoyable experiences. Can’t wait to visit Marlborough again. We say farewell to one of our longest serving employees, Jane Jackson, who has been with Negociants NZ for more than 20 years. Jane has been a valuable, passionate and committed employee throughout our time together, and we will all surely miss her! 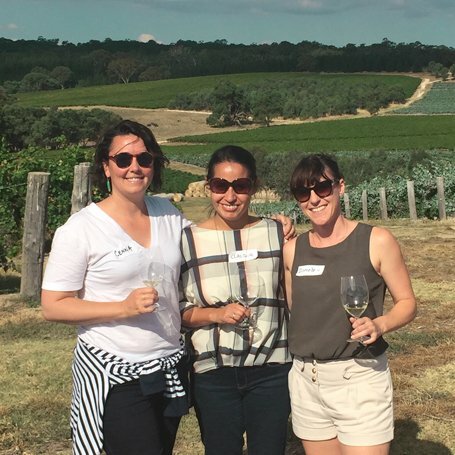 Every year Yalumba hosts an Orientation Programme designed for new Area Managers joining the business to spend three days in the beautiful Barossa getting to know a whole lot more about Yalumba. 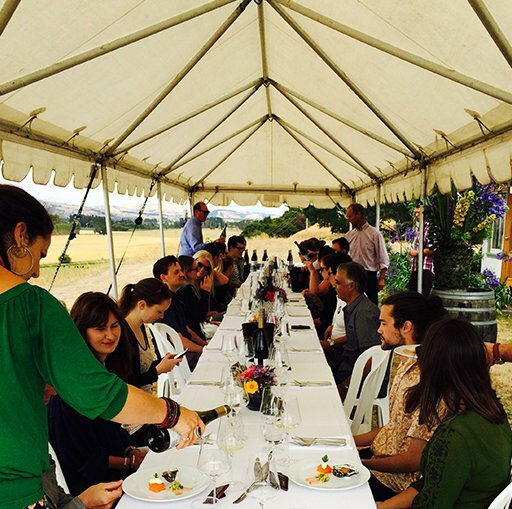 The 2017 Yalumba Orientation programme was the largest yet, with 18 Area Managers in attendance from both Australia and New Zealand. The New Zealand contingent consisted of myself, Cenna Lloyd (Wellington Area Manager) and Claudia Yanez (Nautilus Brand Manager). 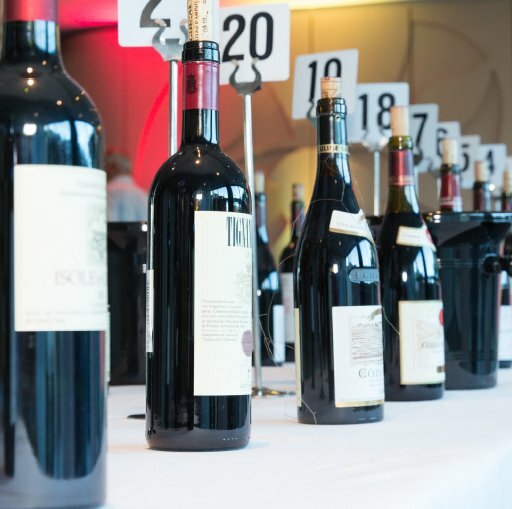 From the first evening’s dinner at the local hotel restaurant hosted by Nick Slape, to the final lunch on the Yalumba lawn with the winemakers, you couldn’t help but feel a sense of pride, history and place. 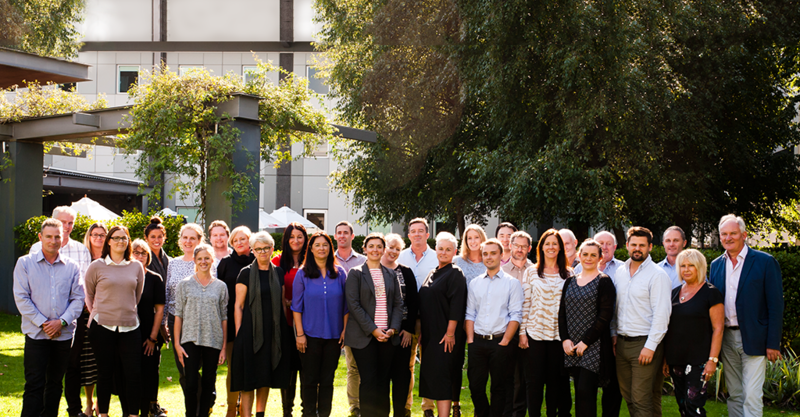 As Australia’s oldest family owned winery, the culture built by the Hill-Smith family over five generations is ingrained and demonstrated by everyone from all parts of the business that we encountered. The orientation programme had us on bus tours visiting the vineyards around the region, a scrumptious BBQ lunch on the grassy banks of the Murray River at Oxford Landing, tasting unfinished ferments in the winery, getting lost in the labyrinth of Yalumba’s wine cellars and losing miserably at the annual orientation pub quiz. Highlights included a visit to the Yalumba Nursery, where we were shown how large scale vine grafting is done, and spending time with the talented winemaking team listening to their stories and experiences over the many years they have been making wine at Yalumba. During our trip, we also visited Langmeil, Rockford, Jim Barry, Henschke and John Duval. Again, history runs deep in the veins of these wineries and my eyes were opened to the diversity that South Australia has to offer. The Aussie humour, the bottomless glasses of Pewsey Vale Riesling and the vibrant personalities that work for this company made it a trip I will never forget. 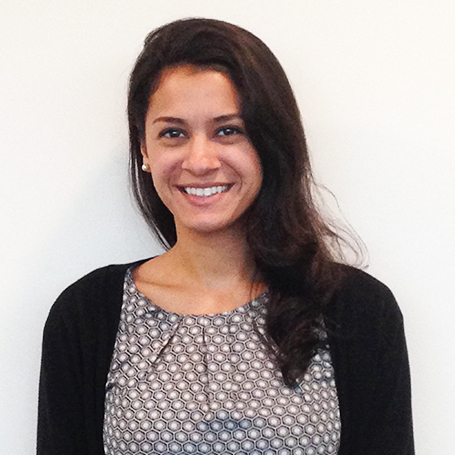 Hannah started in our Auckland Customer Services department on 8th May. She is originally from Minnesota and has hospitality experience both here in New Zealand and the United States. More recently Hannah has worked in a customer service/data entry position for a New Zealand company distributing coffee. Hannah’s experience and calm and friendly manner will complement our team and be of benefit in Negociants’ aim to provide excellent customer service.